Identical twins Paula and Elyse were separated at birth by Louise Wise Services. They were placed in separate adoptive families, and neither family was told that they had adopted a separated twin. In their thirties, Paula and Elyse find out about each other, and find each other. Identical Strangers is their co-written story. Each woman shares her own perspective - her thoughts, her wishes, her excitement, her fears, and her ambivalence about their reunification. 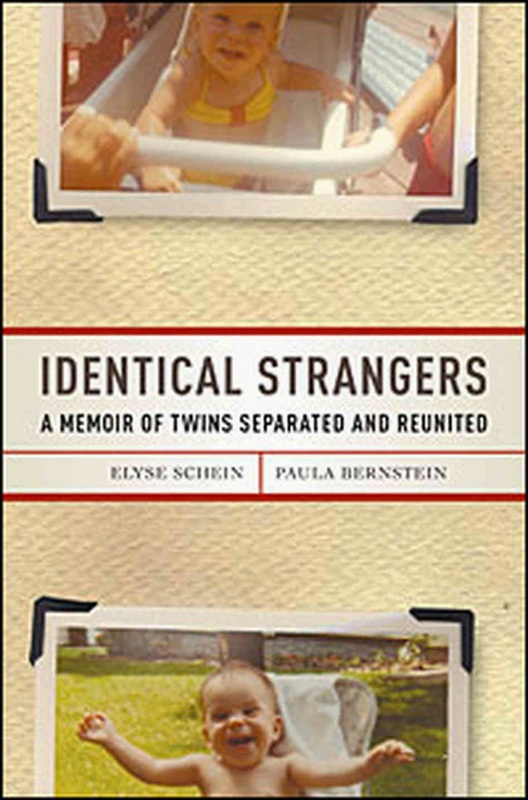 Paula and Elyse do form a relationship with each other, and then together set out to find more about their shared history, to learn why they were separated, to confront the professionals who caused their separation, and to try to reunify with members of their birthfamily. Identical Strangers is a generally positive, often thought-provoking, and quite insightful work. Adult adoptees might resonate with the authors’ ambivalent feelings towards adoption (the authors say, basically, “I can’t imagine any other life than the one I have, and at the same time I feel that something wrong happened to me.”) Prospective adoptive parents could consider the importance of birth family relationships - and especially of birth sibling relationships. Side note: I listened to the audiobook version during my commute (to work in a foster care / adoption office). The audiobook is about 8 hours long.